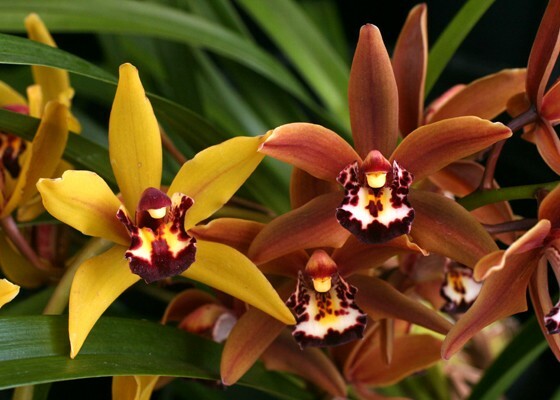 Select varieties from this breeding line of miniature cymbidiums. From crossing of Mighty Mouse 'Minnie' and the species floribundum 'Boing', all have bloomed in the yellow, green, bronze, or brown tones and all have bloomed well in 3” pots. 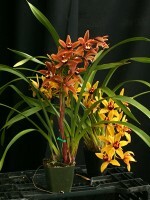 Photo above is of two plants and is shown to illustrate the color extremes.Cool growing. November - January blooming.